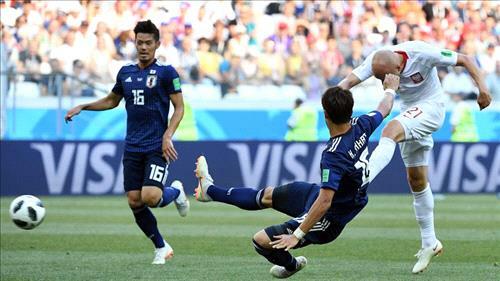 AMMONNEWS - Japan advanced into the knockout phase of the World Cup on Thursday despite losing 1-0 to Poland, progressing from Group H thanks to their lower tally of yellow cards than Senegal. The African side were eliminated after their 1-0 defeat by Colombia despite finishing level with Japan on points, goal difference and goals scored. The Samurai Blue, who had needed only a draw to qualify from Group H, went behind in the 59th minute when Poland’s Rafal Kurzawa floated a free kick to the far post and an unmarked Jan Bednarek scored from close range. Until then, Japan had looked content to contain Poland in stifling heat in Volgograd and they left in-form midfielder Takashi Inui on the bench until they were chasing an equalizer. Poland’s star striker Robert Lewandowski missed a good chance to double the lead in the 74th minute, meaning he failed to score in all three matches he played at the World Cup in Russia.